English singer Peter Murphy has pleaded not guilty in the alleged hit-and-run incident that landed him into police custody in California on the weekend. 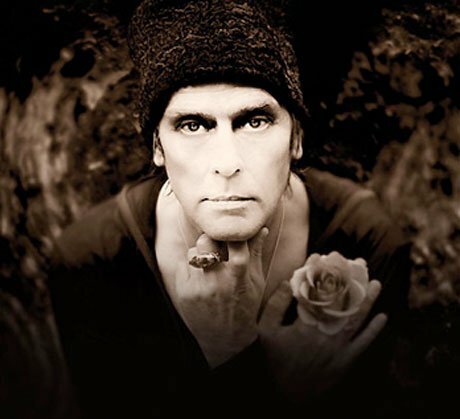 The Glendale News-Press [via Consequence of Sound] reports that Murphy's lawyer entered the plea in court yesterday (March 19), and the Bauhaus singer was then let out of custody on his own recognizance, though the judge noted that the Murphy is prohibited from driving "anywhere" in "any condition" without the court's permission. Murphy, 55, had been picked up authorities last Saturday (March 16) after reportedly crashing into a vehicle and fleeing the scene. A witness apparently followed Murphy's vehicle after the incident, because "he was afraid [Murphy] would kill someone with his driving." The singer was arrested and charged with "causing injuries while driving under the influence of drugs or alcohol, felony hit-and-run, and possessing methamphetamine." Statements made on Murphy's Facebook page explain that "all charges that were originally filed as felonies were lowered to misdemeanours and Peter was released with no bail or restrictions," and questioned the allegations that the musician had been driving impaired. "The amount of Alcohol in Peters Bloodstream was measured at 0.01 way under the 0.08 which is legal. This is the lowest amount of alcohol that is able to register on a breathalyser," it reads. Murphy's "Mr. Moonlight Tour" is still set to go ahead as planned.